* Required under certain circumstances. Enrolling international students whose native language is not English will have language skills evaluated upon arrival to campus and may be placed in appropriate advanced English courses. Admitted International students are required to submit an International Certification of Finances. Pitzer College is a test-optional school. Read more about our policy here. Pitzer requires the Test of English as a Foreign Language (TOEFL) or the International English Language Testing System (IELTS) from students whose native language is not English. If required, a minimum score of 95 IBT or 7 IELTS is required for regular admission. Students must submit official scores for consideration. Students who are qualified for admission to Pitzer in all ways except English proficiency, and who have achieved at least a 70 IBT or 6.5 IELTS are eligible for the International Scholars Program. Students who have studied in an English-speaking curriculum for 4 or more years may apply for a testing waiver. Click here to find out how to request Pitzer’s English Language Test Waiver. Only waiver requests from applicants will be reviewed. 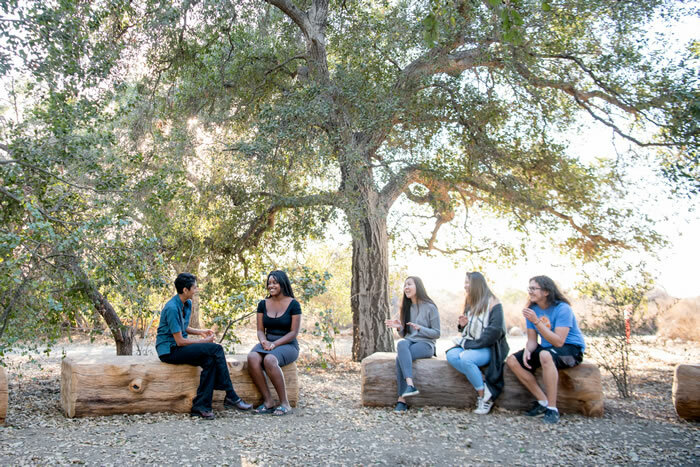 Students who are qualified for admission to Pitzer in all ways except English proficiency and who have achieved at least a 6.5 IELTS or 70 IBT are eligible for the International Scholars Program. International applicants can arrange the optional admission interview two different ways. On-campus or Skype interviews with the Pitzer admission staff. Do not sign up for an InitialView interview if you have already completed/plan to complete an on-campus interview or if you are an international student living and attending high school in the United States. Your InitialView interviewer will not be able to answer your questions about Pitzer. No more than four AP and IB credits (combined) will be granted. Four credits may be granted for an IB diploma. Credit for exams may be awarded only for higher-level exams—with a score of at least five—at a ratio of 4 semester units per exam and for comparable scores on British A-Level exams. If certification diploma is not completed, individual courses or exams completed toward the certificate may be given credit. Credit will not be awarded for subsidiary exams. IB credits are applied toward the 32-course graduation requirement, but may not be used to satisfy the Educational Objective requirement.